St. St. Cyril and Methodius language centers in Varna and Ruse. Prime location for TOEFL prep as well as expert guidance on AUBG admission. Europa Schools - preparation for Cambridge English Language Assessment exams (Certificate in Advanced English, or CAE, and Certificate of Proficiency in English, or CPE). 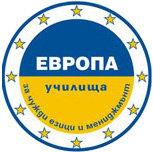 Europa Schools is an official Cambridge English Examination Centre - BG015 ECET-Europe Schools. Pathways is a non-profit organization that offers high quality English language curriculum and administers university admission exams such as TOEFL, SAT and ACT at its offices in Pazardzhik and Sofia, Bulgaria. The organization was launched as a result of the generous contribution from the United States Agency for International Development (USAID) as well as the strategic guidance of professionals and academics from top educational institutions and businesses from the United States and beyond. Да научиме – this Skopje-based center can provide you with information on top-notch educational destinations, student discounts, and exam preparation. 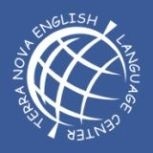 Terra Nova English Language Center - the only specialized TOEFL preparation center in Moldova. More locations are constantly added, so make sure you regularly check for new test centers near you.